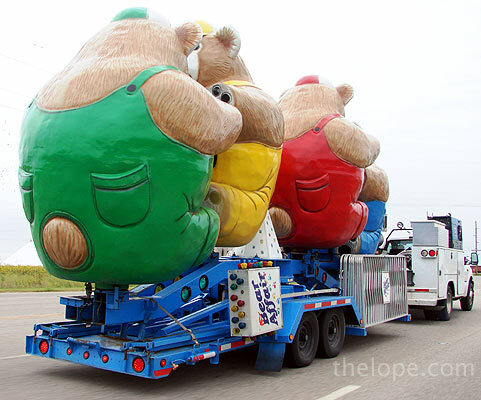 I've seen their huge fiberglass butts many a time on the open road. Sometimes they face backward, which makes following them more fun. 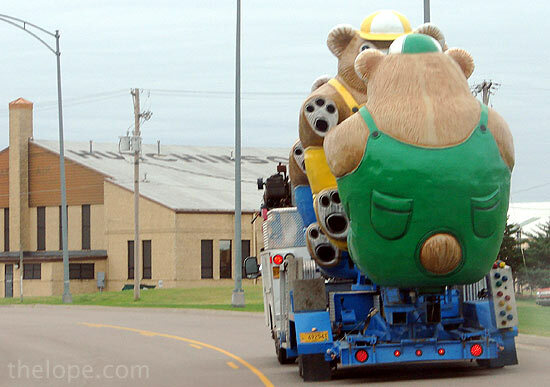 Like scouts, the kiddie ride bears advanced down Yoder Road toward Hutchinson, Kansas. 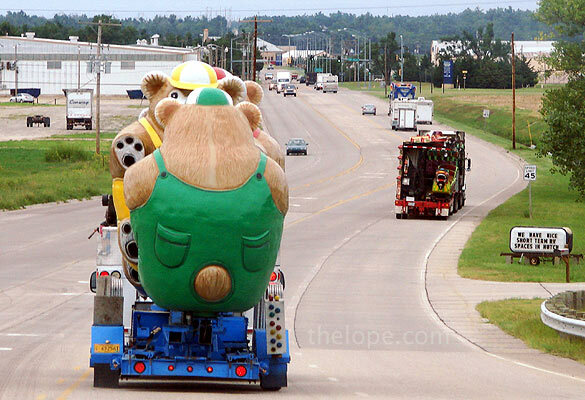 ...and looking pleasantly goofy as they finally find their way to the fairgrounds for the start of the Kansas State Fair, tomorrow. There should be a defensive driving level color code for fair-time. I'd say we're at level: orange. Personally, I avoid 4th and Plum because even we locals sometimes don't know what to do with it, so you can imagine what it's like with a bunch of out-of-towners trying to figure out if they should go through the intersection or not. We'll have more on the fair by tomorrow. 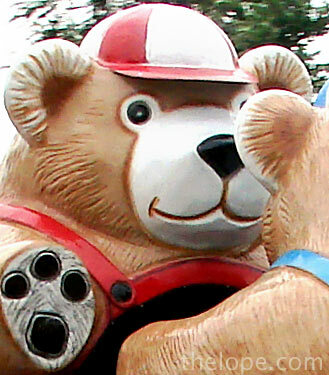 Peace, and have fun. AWWWWW they are so cute!!!! 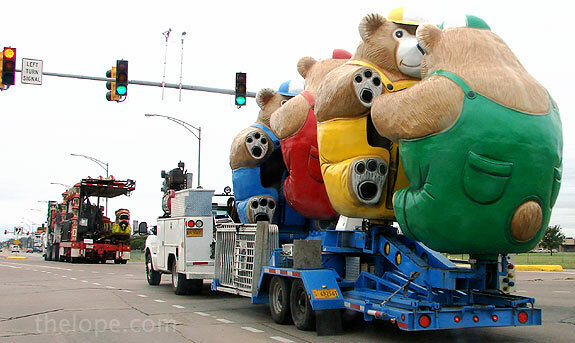 My girl's LOVE riding on these when we go to the fair. How did opening day go with all the nasty weather?